Let’s be clear right up front. There are plenty of places in Cuyahoga Falls and the greater Akron area to take your dog or cat for a vaccine. What I want to communicate in this post is that vaccines, or “shots,” alone do not make for a healthy pet. Animal health care is much more than a “dog shot” or a “cat shot.” Certainly vaccines are an important component of preventive medicine, and we’ve had much to say about this in previous blog posts, but if a pet simply receives a “shot” once every year, he or she is going to have disease go undetected at some point in his or her life. A routine physical examination is critical to maintaining good health. Most pet owners do not look in their pet’s mouth on a regular basis for signs of dental disease. Listening to a pet’s heart is critical to detecting early heart disease. Palpating a pet’s abdomen can allow us to feel lumps and bumps that shouldn’t be there. Looking down in the ear canals tells us whether or not there is a brewing ear infection, polyp or mite infestation. But if a pet sits on an exam table and the veterinarian does not perform a systematic, thorough examination, closely looking at all of these body systems, the pet’s overall health is not prioritized. These accounts are simply bad medicine and the pet’s health was not the #1 priority. If you’ve received advice that just doesn’t seem right, first inquire of your veterinarian why he or she has given the particular advice. Then, if you can discern no sound reason for the advice, if the advice doesn’t pass the “smell test,” it’s probably time to seek veterinary care elsewhere. Taking a good, thorough history is also an important part of giving your pet the best health care, and good veterinarians know this. Having a veterinarian that knows what questions to ask of the pet owner, and who also knows how to interpret the subtleties of the history is very helpful when it comes to treating a patient that cannot talk. If your veterinarian isn’t taking the time you feel is necessary to adequately gather information, it’s time to look for a new veterinarian. It always fascinates us when we learn of a veterinarian performing a diagnostic test that he or she is unable to interpret. If your veterinarian suggests a diagnostic test to perform, ask him or her what the plan is once the results are in. Certainly there are variables to consider, but there ought to be a long-term plan into which the diagnostic test fits. Your veterinarian should have a competent answer that he or she can give with confidence. Performing a complete physical examination and gathering a thorough history requires confidence on the part of the veterinarian. Some doctors are not comfortable providing dental care to patients, or offering surgical services, or interpreting laboratory tests. This can be okay, provided the doctor is complete in the history-taking and physical examination aspects of the process. The veterinarian can then refer the patient to another veterinarian who is able to provide the service and care which the pet needs. It is unacceptable, though, for a veterinarian to not investigate, to not be complete, because of a lack of confidence in their ability to provide the necessary follow-up service. Worse than this, though, is failing to be complete because being complete takes more time. Shortcuts are unacceptable and can cost a pet quality-of-life. If either of these scenarios is familiar to you, it’s time to find a new veterinarian. Your veterinarian should also be interested in forming a relationship with you and your pet. You should not be “just a number,” and you shouldn’t feel rushed through a process. 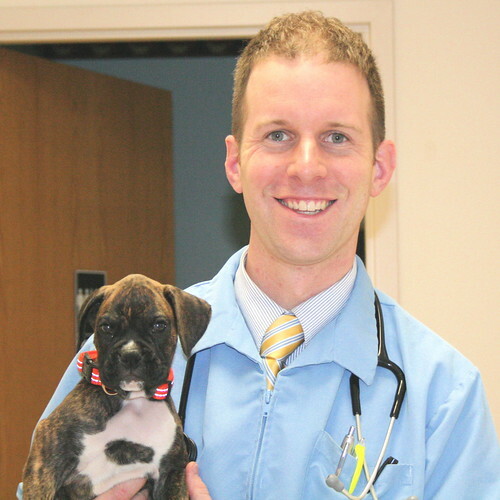 At the Cuyahoga Falls Veterinary Clinic, we want to perform our tasks efficiently, but we also want to take time to get to know our clients and our patients. Sometimes this takes a few extra minutes in the examination room. Our goal is not to rush through our appointments during the day, but rather to be complete in our pursuit of the best health care we can provide for our patients. You love your pet. If all you’re interested in for your pet is a “shot,” you have lots of options for a provider. If you are interested in complete health care for your pet, you have fewer options, and it is our hope that you will consider Cuyahoga Falls Veterinary Clinic as your pet’s health care provider. Give us a call at 330-929-3223 to set up an appointment to meet with one of our doctors. Comment on "Healthcare Is More Than A “Shot”"